Bristol Old Vic Theatre School is proud to host a wide range of visiting tutors and directors, allowing us to offer a more varied and wider experience for our students. Mabel trained at the RSAMD. Her MA in Performance Making and Methodology from Goldsmiths University sparked an interest in teaching and Actor training. She has taught at East 15 and still teaches at BADA. 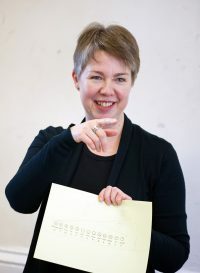 As an actress her extensive theatre career includes productions at The Young Vic, Donmar Warehouse and Southwark Playhouse as well as many regional reps.
Amanda is a freelance Speech and Language Therapist and presents our annual ‘Vocal Health and Sustainability’ lecture. Prior to setting up an independent practice Amanda was Clinical Lead for Voice Therapy Services at University Hospitals Bristol NHS Foundation Trust. Originally trained as an actor, Oliver is a senior ITM (Interactive Teaching Method) teacher and trainer. He teaches in the UK and internationally and has presented at the International Alexander Technique Congress. He is also a multi-award winning copywriter. Teaches: Alexander Technique. An award winning freelance theatre director who began his career at Bristol Old Vic. Bill joined the RSC in 1977 and remained there until 1992 leaving as Associate Director. He was Artistic Director of Birmingham Rep 1992-2001. An Olivier nominated Director, Sally is an Associate Artist at Bristol Old Vic, and a long-time collaborator with Travelling Light. Recent credits include: The Lion, The Witch, and the Wardrobe (West Yorkshire Playhouse); Peter Pan, Jane Eyre (Bristol Old Vic, National Theatre). During her career, as both Director & Associate Director, Gemma has worked for companies including: Royal Shakespeare Company, Royal Court Theatre, New Vic Theatre and The Orange Tree Theatre. She is Associate Director of the Pitlochry Festival Theatre. Currently Associate Director at Sherman Theatre, Cardiff, David is an award-winning theatre director. Recent credits include: Insignificance by Terry Johnson (Arcola Theatre, first London revival in over 20 years), Blue Heart by Caryl Churchill (Tobacco Factory Theatre, Orange Tree Theatre). Artistic Director of Bristol Old Vic and Associate Director of the National Theatre since 2004. Tom was the Artistic Director of Battersea Arts Centre from 1995 to 2004. Directing credits include: The Grinning Man (Bristol Old Vic and West End); War Horse (National Theatre, UK & International Tours). Olivier Award winning director, Donnacadh’s productions have played at the Royal Shakespeare Company, in the West End, and internationally. In 2016 he directed Always Orange by Fraser Grace for the RSC, which reopened the famous The Other Place Theatre. Currently Staff Director at Theatre Royal Plymouth, Nik was previously Director in Residence at Tobacco Factory Theatres and a BBC Performing Arts Fellow. Nik has made work for companies including: Royal Court, Traverse, Oran Mor, the egg and Travelling Light. Artistic Director of Blue Brook Productions, Ed was previously Director in Residence at the National Theatre Studio and worked at Chichester Festival Theatre, Almeida Theatre, and Bush Theatre. Actress and Director, Lorna spent several years with Birmingham Rep and made her television debut in the 1990s. Lorna is known for her roles in BBC shows Doctors, Grandpa in My Pocket and Tikkabilla. Lorna has also directed multiple episodes of Doctors. Hugely experienced Script Supervisor for film and TV. Megan’s recent credits include: Poldark (BBC), Trollied (Sky), Crazyhead (Netflix). Teaches: Script Supervision. For over 15 years Bashart has worked in commercials, music videos and features. Bashart is a Director of Photography and has recently been working on Channel 4 shorts. An award-winning dramatist turned filmmaker with over twenty years experience writing, producing and directing film, television and theatre. 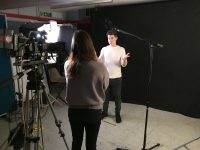 Tim works with artists, performers and commissioning bodies across the UK, producing a wide range of work from documentary and TV commercials to independent art films, comedies and historical drama. Senior Producer for the BBC Radio. Hugely experienced radio actress with over 400 radio play credits, and long-time member of The Archers cast. Sunny has appeared in theatres all across the UK and on screen. James is a Director, Producer, Writer & Deviser for Theatre, Radio & TV Drama. Alongside his freelance work since 2013 James has been the Literary Associate at Bristol Old Vic. Previously James has worked for the BBC (Reader, Producer, Development Editor) and as the New Writing Manager at Theatre Royal Stratford East. Alec has had an extensive career in Radio working largely for the BBC producing, editing, directing and writing. Alec has also produced hundreds of audiobooks and publications include books, numerous magazine articles and poems. A prolific, award-winning radio drama director, Janet has brought endless classic novels to a new audience for the BBC. An award-winning director and producer working in Theatre, TV and Audio Drama. Peter has worked around the country and for the BBC as both a radio and television producer. Peter has directed more than 150 BBC radio dramas and is a regular guest director of The Archers.